100% 1:1 Digital Transfer onto CD-R - Audio Quality 10/10 - Best Available Transfer for this LP! FULL Recording on CD, NOT an MP3 ! ! ! 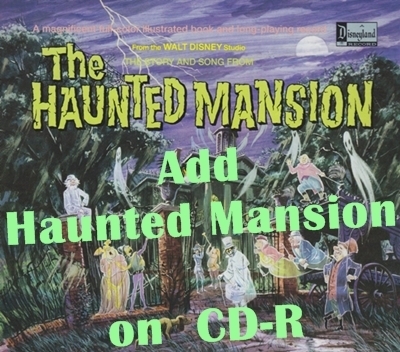 -----> Upgrade to Add Soundtrack Disney's Audio Recording The Haunted Mansion 1969 Recorded with Ronny Howard on CD-R ! ! From the 1964 Disneyland Original Sound Effect LP Album. A Terrific and wonderfully scary collection of Halloween sounds recorded at Disney Studios. This is the complete album that you no doubt played over and over again from your childhood around Halloween on your record player! Enjoy these creepy and spooky sounds all over again and share them with your family! This CD R is a backup from the ORIGINAL Disney Vinyl Album! 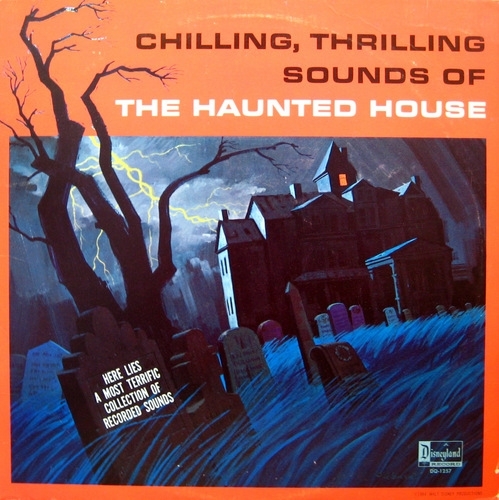 Disney's Chilling Thrilling Sounds Of The Haunted House CD 1964 is a wonderful way to celebrate Halloween. Chilling Thrilling Sounds Of The Haunted House CD is a blast from the past in this fun 60s romp for Halloween sounds. 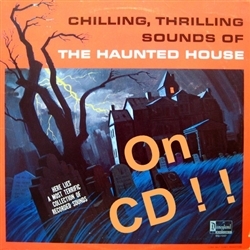 Chilling Thrilling Sounds Of The Haunted House CD is great quality and brings back those spooky memories of the old Disney Halloween LPs. Chilling Thrilling Sounds Of The Haunted House CD allows you to play your favorite Halloween album from the 60s on your CD player! Chilling Thrilling Sounds Of The Haunted House CD is a cool and fun way to enjoy and share the spooky sounds of the 1964 LP converted perfectly to CD audio. Chilling Thrilling Sounds Of The Haunted House CD will make it easy to enjoy those spooky childhood memories. Halloween can be a blast from the spooky past with the Disney classic audio CD of Chilling Thrilling Sounds Of The Haunted House CD. Chilling Thrilling Sounds Of The Haunted House CD Available now on an CD Audio created On Demand using a Top Quality CD-R Disc! 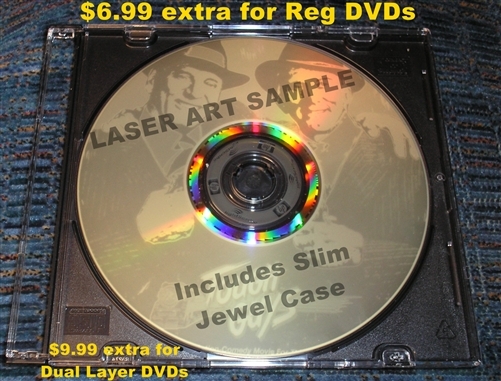 Laser artwork on the disc is available as an upgrade.